The Information Technology (IT) Department provides reliable, up to date, effective, secure and integrated technology solutions and information services to empower students, faculty and staff to meet their goals in support of the mission of the university. The IT Help Desk is your initial point of contact for the Information Technology department. If you are having difficulties accessing Regent systems (Genisys, Blackboard, Email, etc. ), need your password reset, or are having issues with a Regent University computer, the IT Help Desk is here to help! The Information Technology Help Desk is pleased to announce expanded Blackboard Support. Regent University has partnered with Blackboard Support Services to provide students, faculty, and staff with 24/7 expert support for Blackboard. Integrated Blackboard Support Tab – A new contextual Support Tab is available on the right side of regent.blackboard.com. This tab provides dynamic Suggested Help based on your current location in the Blackboard Learning Management System. Blackboard Support Center Portal – The Blackboard Support Center portal provides access to knowledge-base articles, live support chat, support case creation and tracking, and phone support. Go to bbsupport.regent.edu. Phone Support – Access to 24/7 Blackboard phone support is available by calling the IT Help Desk at 757.352.4076 and selecting the option for Blackboard Support. Regent University’s Blackboard system is located at regent.blackboard.com. All current Regent University Students, Faculty, and Staff have access to Microsoft’s Office 365 at no cost. Accessing Office 365 is simple and provides you with Office for PC, Mac and a number of mobile platforms. Click here for more information. MyRegent is your portal into many of the systems and services available to you at Regent University. We recommend using the MyRegent Portal for integrated access to all of your online Regent resources. After logging in to the MyRegent Portal, you can conveniently access your Student Mail by Google, Blackboard, Genisys, DegreeWorks, and the library Databases as well as many other Regent Systems. You can log in to the MyRegent Portal at my.regent.edu. Upon acceptance to Regent University and payment of the enrollment deposit, you will receive an email to your personal email address with instructions on how to initialize your MyRegent account. Your MyRegent account username will be created using portions of your first and last name. Please note that your Regent Student ID is separate from your MyRegent account username. The MyRegent account username is also used to create your Student Mail by Google account in the form of myregentusername@mail.regent.edu. Once your MyRegent account password is created, you may login to the MyRegent portal at my.regent.edu. Your MyRegent account password is automatically synchronized to be the same as your Student Mail by Google account password. Regent University recommends changing your MyRegent account password at least every 180 days by going to www.regent.edu/password. If you have paid your enrollment deposit and have not received your MyRegent account initialization instructions at your personal email address or you need assistance initializing your MyRegent account, please contact the Regent University Help Desk at helpdesk@regent.edu or 757.352.4076. RegentALERT is an Emergency Notification System (ENS). Its primary purpose is to notify Regent faculty, staff and enrolled students in the event of an emergency on or near campus, such as a man-made or natural disaster. Be sure to update your RegentALERT contact information the next time you log in to my.regent.edu. Regent University uses Blackboard Learn, a web-based Learning Management System (LMS), to engage its students beyond the traditional walls of a classroom. Blackboard breathes life into educational content, brings efficiency to day-to-day tasks, empowers users with tools to engage in learning, and promotes collaboration and streamlines processes. Regent University has partnered with Blackboard Support Services to provide Students, Faculty, and Staff with 24/7 expert support for Blackboard. Blackboard Support Center Portal – The Blackboard Support Center portal provides access to knowledge-base articles, live support chat, support case creation and tracking, and phone support. Go to https://bbsupport.regent.edu. To view the status of your financial aid application or to accept financial aid awards, proceed to the Genisys login page. You will need the User ID and PIN provided to you by the Student Financial Aid Office. Please access Genisys via the MyRegent portal using your MyRegent ID and password. Once you are logged in to portal, click the Genisys link at the very top of the page. If you are a recently accepted student, your MyRegent ID and instructions for setting your password will be sent to you via email once the enrollment deposit requirement has been met. Without logging in, you may view course descriptions and view the course schedule. If further assistance is required, please contact the Regent University Help Desk at helpdesk@regent.edu or 757.352.4076. Degree Works is an online tool to help students and their advisors track degree progress, prepare for registration, and plan for graduation. Degree Works reviews courses from a student’s transcript and organizes them into blocks of requirements to help students identify courses that have been completed and what courses are still needed in order to complete a degree. It allows students to view their grades and GPA, estimate how long it will take them to graduate, and what courses count or do not count toward their majors. The program also includes a feature to help students who are considering changing majors and/or programs. For more information, please the Regent Degree Works FAQs page on the Registrar website. The Information Technology Department has developed recommended configurations for desktop and laptop computers as a guide for students purchasing computers to use while enrolled at Regent University. Specifications are provided for Windows/PC-based desktop and laptop computers. Please note that university computer labs, and most academic departments, are Windows/PC-based rather than Macintosh-based. How much should I invest in a computer? The general rule of thumb when purchasing a new computer is to purchase the most powerful computer you can afford. Buying a powerful computer (faster processor, more memory, larger hard drive) will help to ensure that your computer will meet your academic needs for many years to come. Use the Recommended Configurations above as a guide. Should I purchase a desktop or laptop computer? Students should examine their computing needs and habits to determine whether a desktop or laptop best suits their needs. Laptops provide students with the flexibility of using the computer almost anywhere. Desktop computers offer more for the money, and are usually easier to upgrade. The Information Technology Department does not provide support for the installation, repair, or maintenance of computer hardware, or the installation and configuration of computer software (including the operating system) for personally owned computers. It is important that you purchase a computer from a vendor that can provide these services for you. For hardware, it is recommended that a three-year, on-site warranty be purchased with your new computer. For both hardware and software, it is recommended that you purchase from a vendor that offers 24/ 7 telephone support, and also has web-based support. For laptop purchases, Regent University highly recommends purchasing a warranty that includes accident damage coverage. For example, Dell offers Accidental Damage Services as an option when customizing your laptop order. Please click here for more information about Dell’s Accident Damage Service. While Regent University does not endorse any specific manufacturer or vendor, please view our current Special Offers to see vendors that offer academic discounts to Regent University students, staff, and faculty. Computers can slow down overtime and be attacked by malicious software such as virus and malware programs. Regent University recommends certain software to help keep your computer running safely and smoothly. Below are two free Anti-Virus programs that Regent University recommends to clean and protect your computer. Microsoft Security Essentials – Windows Defender is built into the latest versions of Windows such as Windows 10 and helps guard your PC against viruses and other malware. For a PC running an older version of Windows, you can download Microsoft Security Essentials for the low, low price of free. AVG Anti-Virus Free – AVG AntiVirus Free’s renewed focus on performance keeps scans zippy, and protects against viruses and spyware. Regent University computer labs and most academic departments are Windows-based. If you have a Mac or are considering purchasing one, you may want to check with your school to see if there are specific compatibility issues. However, most students should have no difficulty using a Mac computer if they have a recent version of Mac OS (version 10.7 or higher), a copy of Microsoft Office 2016 for Mac, and a reliable internet connection. We recommend using Chrome or Firefox for viewing Regent web pages on a Mac. All current Regent University Students, Faculty, and Staff have access to Microsoft’s Office 365 at no cost. This Office 365 benefit provides access to the online versions of Microsoft’s popular office applications as well as the ability to download full versions of Office to Windows, Mac OS, iOS, and Android devices. For more information, please view the Office 365 for Regent Students, Faculty, and Staff guide. Use the links provided to buy books and software at discounted prices and obtain special discounts from Apple, Dell or HP. When purchasing a new computer please look at our Computer Recommendations to insure that you get a computer is compatible with Regent systems. WIFI is available across the Regent University campus. The WIFI network name for the main campus is REGENT_PUBLIC. For students residing at the Regent Commons, the WIFI network name is REGENT_RESNET. These are the only authorized wireless networks supplied by Regent University. The Regent campus WIFI is open to all students, faculty, staff, and campus visitors. Passwords are not required. Internet access for the Regent Village is provided by Cox Communications. Contact the Regent Village for more information. There are four computer labs on campus for student and staff use. They are located in COM 154, SC 119, LIB 327 and CRB 239. Printing is available in the labs for 5 cents per page. Each new student is given an initial $5.00 credit in their account and additional printing credit is available for purchase online. All Regent University students are provided with a Google G Suite account. Your Google account is the official student mail account of the University. All official Regent University electronic correspondence will be sent to your Regent provided Google mail account. 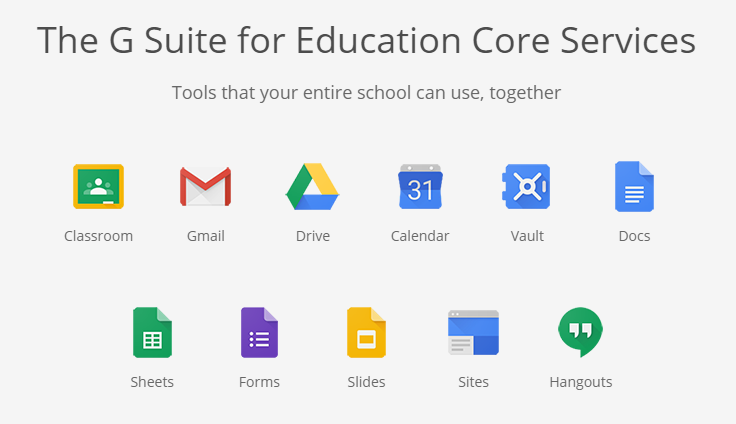 Google G Suite accounts offer a wide array of features, including mail, calendar, unlimited Google Drive (free cloud based storage) and Google Hangouts (text, voice, and video messaging service). These features are available through the MyRegent Portal at my.regent.edu or by directly logging into accounts.google.com. Your Student Mail by Google address is in the form of MyRegentUsername@mail.regent.edu. What is my Regent G Suite Account Username and Password? Your Regent G SUITE username is in the form of MyRegentUsername@mail.regent.edu. Your Regent G Suite password is automatically synchronized to be the same as your MyRegent account password. Whenever prompted to login to your Regent Google Gmail or G Suite apps, be sure to use your full username in the form of MyRegentUsername@mail.regent.edu. To change your password, please visit www.regent.edu/password. How do I login to my Regent G Suite account and my personal Google account at the same time? Google supports multiple logins so that you can login to your Regent G Suite account and your personal Google account simultaneously. For specific instructions, please see the Google Account Help site on this topic. When you sign into your Regent G Suite account, you will be presented with information on the privacy and security of your new account. In that statement, it mentions the domain administrator as having access to your account information. In Google G Suite for education, that administrator is Regent University and not Google. Regent University does not access Regent G Suite student data unless the student has requested help with their G Suite account or the university is under subpoena to supply such information. If you have specific questions about the privacy or security of your account, here are some additional resources provided by Google. Please complete this form and we will get in touch with you as soon as possible. Additional internal forms for faculty and staff use are located in the portal.